CC Creams: Better than BB? 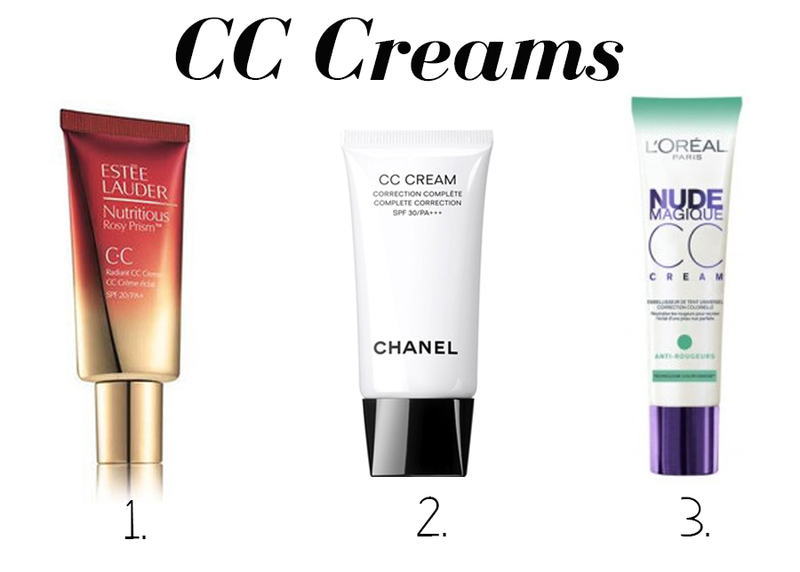 The beauty world has been buzzing with BB creams, and now CC creams, for quite some time now. I weighed in on the BB vs. Foundation trend last month, and now I'm here to weigh in on the BB vs. CC cream debate. 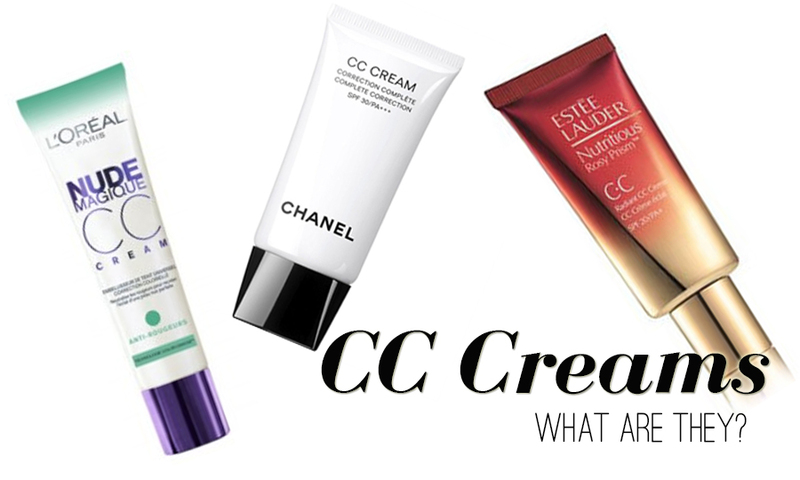 So what is a CC cream? Basically a spin-off of the popular BB cream, CC creams are mostly known as 'colour correction' creams or 'colour control' creams. Whilst the name may imply that these creams serve a different function to BB creams, more often than not, there are mostly only tiny differences between CC and BB creams. If you're looking to compare, I don't recommend buying a product purely based on its name - try it out and look for a product that suits your particular needs, because its name alone isn't gonna get you anywhere. So to help with that search for the ever elusive 'HG' base product, I've complied a small group of CC creams to review in this post. I hope you like it! This product was released along with a line of products that are meant to enhance the 'rosiness' in your skin. It is a pink-based, very light cream formula that brightens the skin and evens out the skin tone. I love that it's really light, so it doesn't feel like you've got much makeup on, and your skin feels comfortable. Because it's so sheer, it also manages to match a decent range of skin tones (this only comes in one colour). However, I wouldn't recommend this for anyone who's looking to do more than just even out their skin tone, because this offers only a very light amount of coverage. If you do still want to utilise the brightening and skin-enhancing qualities of this CC cream, then I recommend that you use it as a primer underneath your foundation (a sheer foundation will do - you can cover anything else that needs covering with a concealer). Ah, Chanel. When I heard about their CC cream, I just had to try it. I got it in a group buy (back then I was still in Melbourne and the CC cream was a limited release and had just hit Taiwan shores - thanks Tina!) and excitedly gave it a go as soon as it arrived. My first impression? I hated it. It was really thick and so difficult to blend, it looked too light on my skin, and I didn't enjoy the smell. I shoved it as far back in my drawer as I could and soon forgot about it...until I started to pack to come home to Malaysia. I decided to take it along with me just so I could put it up in a blogsale if I wanted to (and until now I haven't once done a blogsale, by the way), but ended up trying it because I had noticed that all the foundations that I hated when I was in Melbourne, I ended up loving in Malaysia. The verdict? I actually quite like it now. It's got great coverage, and I overcome the issue of blendability with the Beauty Blender. Its dry, thick texture actually helps keep the oiliness at bay, so it's perfect for Malaysian weather. It only comes in one colour though, so you won't be able to try it unless you've got a skin tone close to their 20 in foundations. This is probably the product most true to the CC cream name out of the three mentioned here. The L'Oreal CC creams come in 3 colours - green to combat redness, apricot to combat sallowness, and mauve to combat dullness. I tried the green one and it is great for people who experience redness in their skin because it really does a fantastic job at neutralising that redness and evening out the skin tone. The L'Oreal CC creams also have great coverage and match a decent range of skin tones (they contain colour-matching pigments). The finish is lovely and glowing, so it's great for people with dry skin, and anyone who loves a little glow in their skin. The oil control is not fantastic, so remember to powder if you've got oily skin.